As one of the remarkable video sharing websites, Vimeo is surely a good place to share and view high-quality videos. Since Vimeo only supports video file, we can’t upload non-video formats to this site. Recently my little brother finds an old DVD video disc he burned a long time ago and the video clips in the DVD are quite interesting and he wants to share it to friends. So he asks me how to upload DVD to Vimeo. Actually, this question can be easily solved by converting DVD to video files supported by Vimeo. If you also have the same demands, you can follow the tutorial to learn how to convert a DVD for uploading it to Vimeo. The professional DVD ripper can convert DVD to video formats supported by Vimeo Fast and Easily. It supports DVD to MP4, AVI, MKV, WMV, MPG, iPhone, Android phone, TV, game consoles, etc. It also offers 1:1 Quick Copy feature to create ISO image and DVD folder from DVD discs. WonderFox DVD Ripper Pro is the leading DVD copy tool for Windows. It can bypass various DVD copy protections and convert DVD to digital video and DVD to ISO image in an instant. The DVD ripper enables you to convert DVDs with the help of hardware acceleration, which can speed up the conversion dramatically. For example, it only takes minutes to rip a 150 minutes DVD movie to MPG. The software is easy to handle. 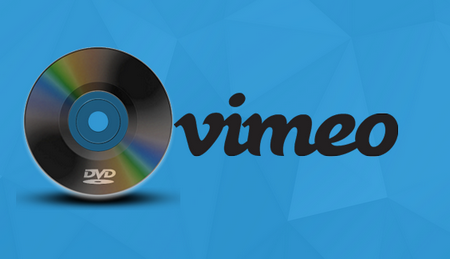 Let’s have a look at how to convert DVD so that you can upload DVD to Vimeo. WonderFox doesn’t advocate any illegal duplication and distribution. Please refer to the DVD copyright laws in your countries before ripping a DVD and do not upload the copies of commercial DVDs to websites. Launch WonderFox DVD Ripper Pro. Click on the DVD Disc button, select the drive letter of the DVD you want to convert, and click on OK. It can quickly detect the DVD and select the main title. 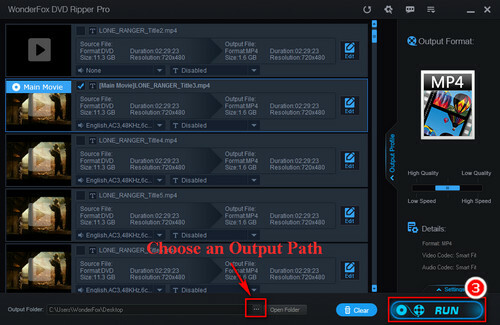 Click on the Output Format button on the right side of the main interface and choose an output format. 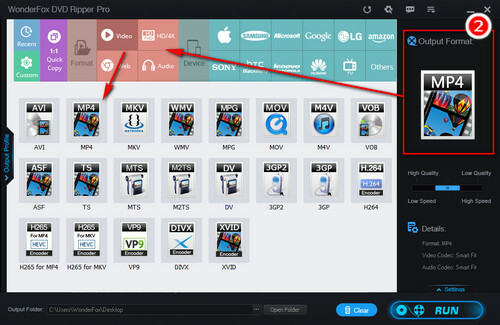 Since Vimeo supports most common video formats, such as MP4 and AVI, you can choose MP4 or AVI under the Video tab so as to upload DVD to Vimeo. Tips. In the same way, you can convert DVD to other websites supported file formats for uploading like DVD to YouTube and DVD to Facebook. Click on the three-dots icon on the bottom to select an output folder. Finally, click on Run to starting the conversion process. Once the conversion is finished, you can upload the video to Vimeo. Additionally, based on different plans, Vimeo has limits on the file size of uploads for different accounts. For example, the Basic plan user can upload 500MB of video files per week and the total storage limit is 5 GB. And the Plus plan user can upload 5GB of videos per week and has no total storage limit. If the converted video is beyond the maximum size limit, you can use WonderFox DVD Ripper Pro to cut the video clips and compress DVD. You can not only use WonderFox DVD Ripper Pro to convert and upload DVD to Vimeo, but also make it convenient to play movies on mobile devices and store DVD backup copies. Now install the software. The versatile software enables to convert videos to be compatible with video-sharing sites. 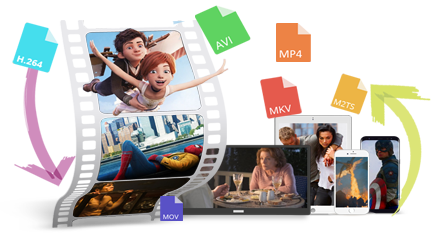 It can change video parameters like resolution, bit rate, aspect ratio, frame ratio, etc., convert video and audio files to 300+ digital formats and devices, compress, cut, merge, rotate, and flip videos. All the tools are self-explanatory and easy to use.